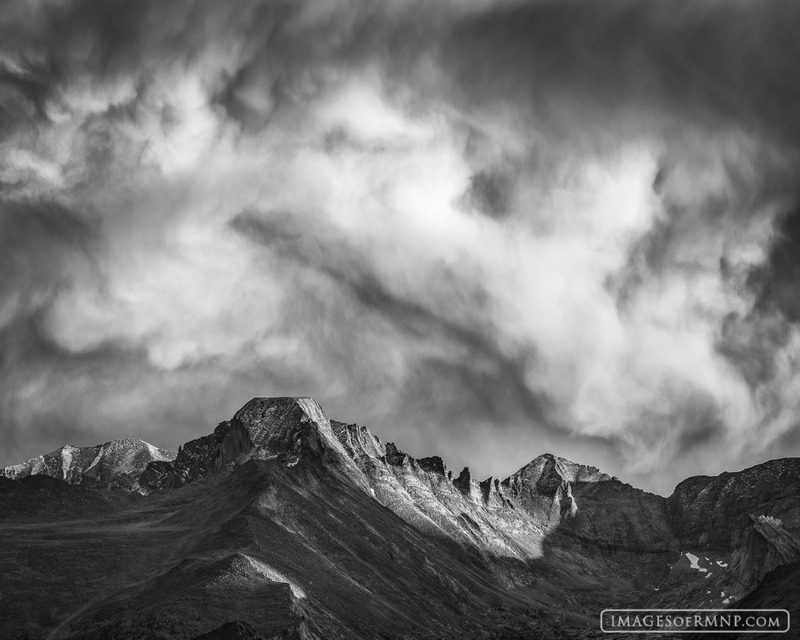 Those who know Longs Peak well realize that this mountain has both a calm beautiful and majestic presence as well as a stormy and almost fierce attitude that can show itself when least expected. Stay away from this mountain when the skies are turbulent. . Photo © copyright by Erik Stensland.